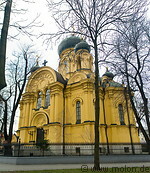 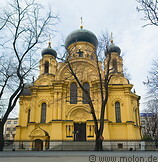 The beautiful St. Mary Magdalene's Russian Orthodox Church in Warsaw's Praga district is one of the few churches in Warsaw not destroyed during the wars. 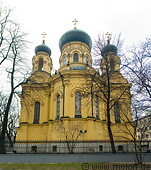 The construction of this Russian Orthodox church in the Byzantine style began in 1867 and was completed in only two years. 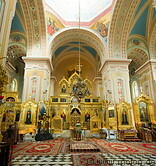 The interior of the church is beautiful and richly decorated with golden images and other ornaments.